From July through August the migration heads up coast from Flinders Bay and around Cape Leeuwin which is a popular land based location to view the migration. 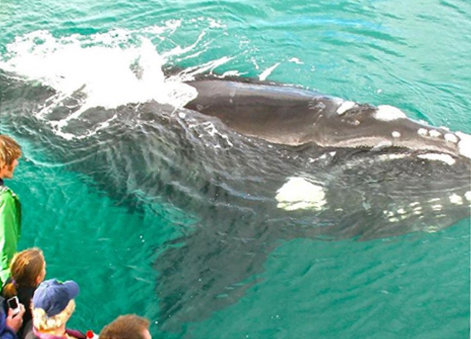 The Margaret River region is the ideal location from which to commence your whale watching adventure. 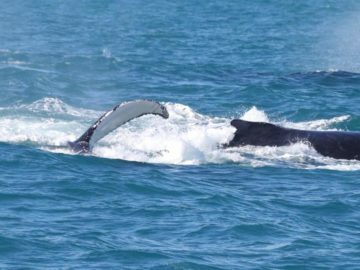 The whale watching season commences around Late May when the whales first appear in Flinders Bay, Augusta, a scenic 40 minutes drive south of Margaret River as they head north from the Southern Ocean to their northern breeding grounds. The Margaret River region has many great coastal spots from which to witness the annual migrations and is one of the few locations where Southern Right and Humpback whales actually interact. Legend Charters operate out of Augusta from June to August with daily whale watching tours from the Augusta Boat Harbour. All tours are 2 to 3 hours in duration, although likely to be closer to 2 hours as the whales are very close in Augusta. Later in the season, as the whale continue their migration up the coast, we relocate our Margaret River whale watching tours to the magnificent Geographe Bay, a picturesque 40 minute drive North of Margaret River. 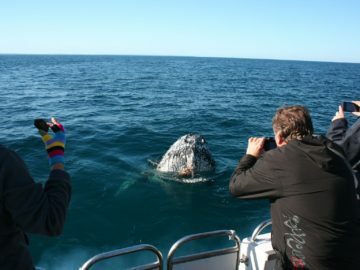 These whale watching cruises operate from September through to November daily from the Busselton Jetty. Don’t miss out! 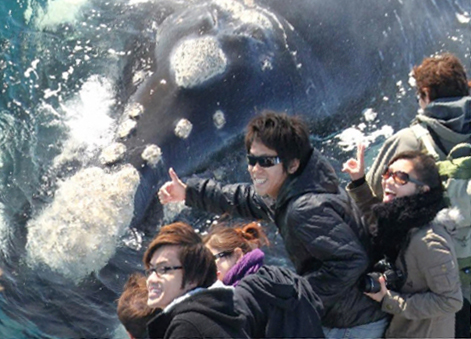 Book your Margaret River whale watching adventure of a lifetime now. 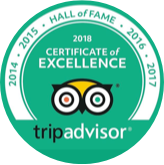 We are so confident you will see whales on your Margaret River whale watching tour, we offer a 100% guaranteed return tour for free. 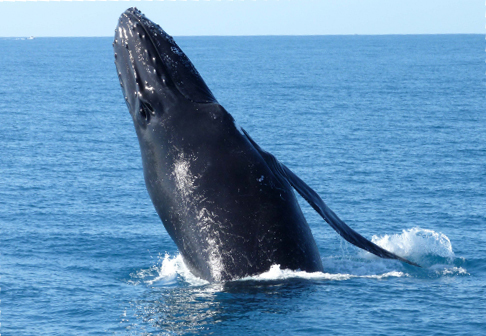 From Late May to August, keen eyes look towards the waters of Augusta’s Flinders Bay, where the migrating humpback and southern right whales gather for a little rest and play before continuing on their journey north to the breeding grounds. 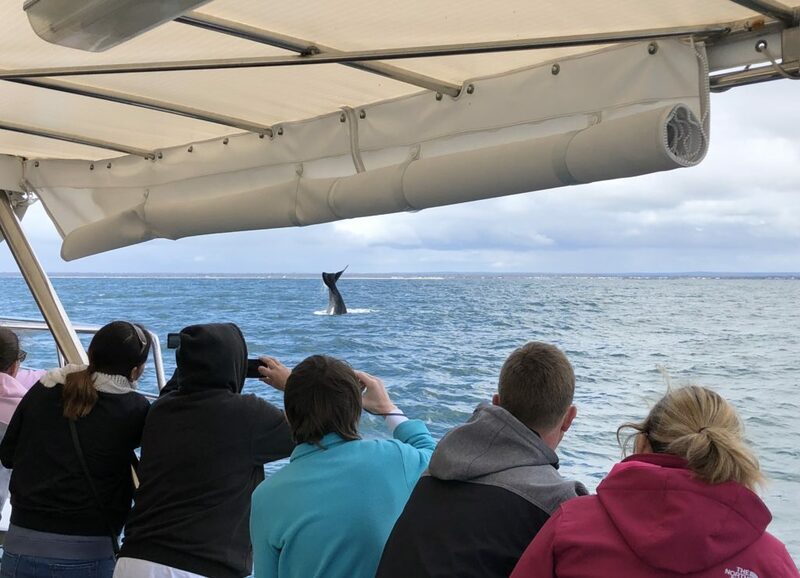 Legend Charters conduct annual whale watching cruises in Geographe Bay between the months of September, October and November. Experience 30,000+ Humpback whales just wanting to play in the protected waters around Busselton in beautiful Geographe Bay. Geographe Bay at Dunsborough is protected by the South West’s most northern point, Cape Naturaliste. 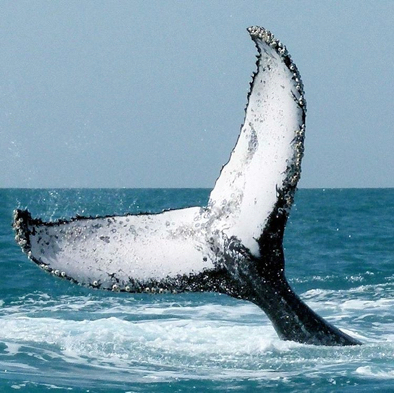 These calm waters close to the coast are favourite annual stop for migrating whales along the West Australian coast. Whales we see daily in this area include humpbacks, southern right, minke and blue whales.